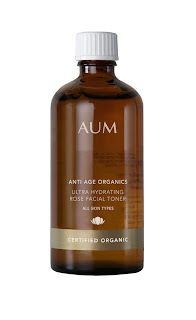 A few weeks ago I was lucky enough to meet Julian Markin, who along with his mother Susan founded the Australian organic skincare line known as Aum back in 2008. A tightly edited collection of incredibly well priced certified organic skincare products to cleanse, tone, moisturise and more, each little slice of Aum contains anti ageing plant extracts clinically proven to even out skin tone promote a more radiant complexion, protect skin against UV damage and significantly reduce the appearance of fine lines and wrinkles. Julian explains that their skincare only uses “certified organic skincare ingredients that are pure and potent. They contain highly concentrated antioxidants and skin nourishing agents whilst also being very gentle on skin.” No small claim, but their growing success speaks for itself. “You can be certain that our products contain no parabens, no sulphates, no mineral oils, no silicones, no petrochemicals, no artificial colours and no animal testing,” he adds, which always gets a huge tick in my book. refresh and soothe. You can use it morning and evening after cleansing, as well as throughout the day for radiant skin and a moisture boost. I only wish this were available as a spray though – it would be a great addition to the handbag!